Just published! 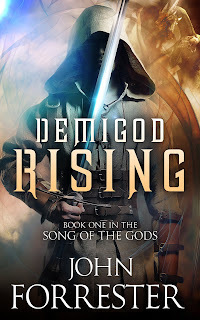 Demigod Rising, Book 1 in the Song of the Gods epic fantasy series. One twin will discover the truth. The other will be fooled by lies. Jeno and Chiro never knew they were powerful demigods. Their father, General Thanadol, hid the truth after he stole his young sons away from their mother, the Goddess Leilian. The twins were raised to hate magic, despise the old gods, and to love Tanir, the false god of the humans. When the nightmares come, the twins see their mother imprisoned by a wizard in the magical realm of Sosaram. Chiro, believing her life is in danger, flees Castle Maarn in the middle of the night. Jeno wakes and finds his brother missing. Though he knows it is wrong, he follows Chiro into the forbidden realm, fulfilling a vow to protect his brother. 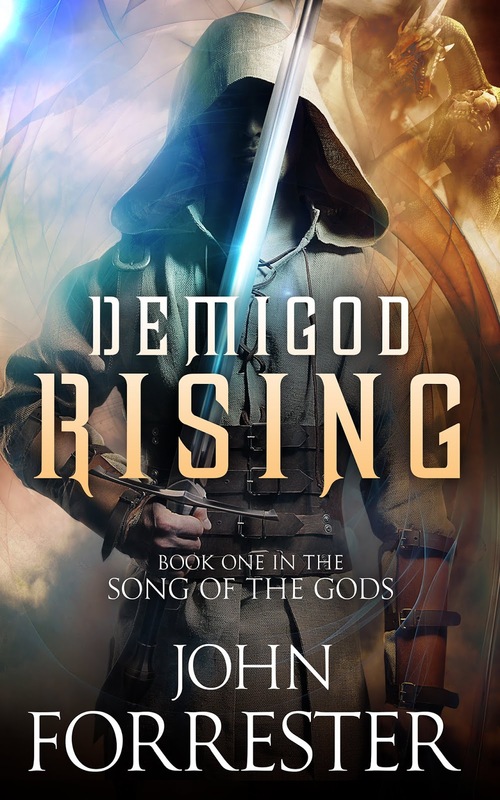 What he finds is a magical realm unlike any other, a realm of darkness and light, a realm of deception and secrets, a realm blighted by the war of the gods. In such a place the humans are mere pawns, driven by hatred, bigotry, and greed. What Jeno discovers about his nature and the truth behind the lies will test the bond between brothers and the beliefs he holds as immutable.